This year marks the 250th anniversary of the classic circus. 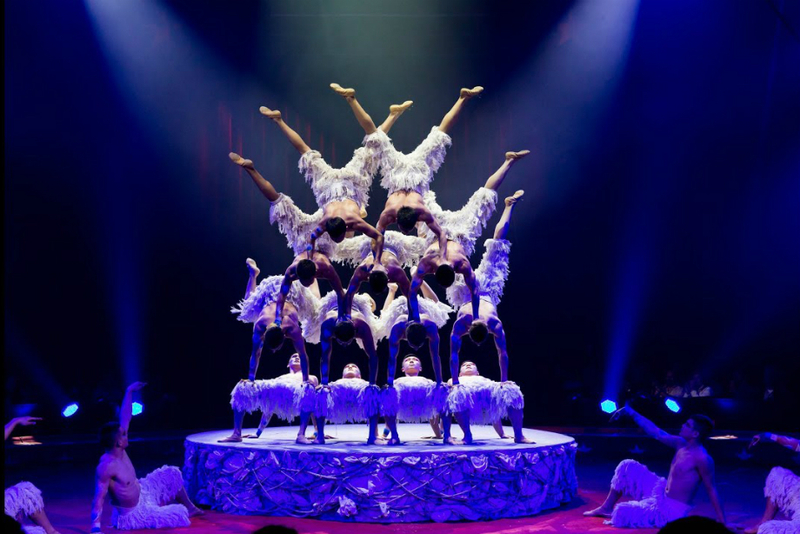 The spectacular World Christmas Circus will celebrate this in a festive way during the 34th edition of the show at the iconic Amsterdam Carré Theater. This year, a record number of Gold-winning top acts will shine in and above the Carré arena. Expect to be amazed by world renowned acrobats, horse acts and modern-day clowns. This will be a night to remember and the most special way to spend a holiday season evening! Philip Astley is seen as the founding father of modern circus. The 34th World Christmas Circus will pay a tribute to him with a thrilling Cossack act with dizzying jumps and somersaults on horseback performed by Violetta Serge Alexandrova. Violetta and her group of brave men and young women won gold last year at the famous Russian circus festival in Moscow. In addition to all the excitement and sensations, humor and emotion is certainly in order at this big anniversary party. One of the biggest acts will be Modelling, fourteen acrobats from Shanghai performing never seen before acrobatics. Other groups on the program are the clowns Equivokee from Ukraine, mind blowing juggling by youngster Alan Sulc, a risky rope act by Li Wei and many others! Get your tickets via the Carré website! 20 December 2018 - 6 January 2019 12.00, 16.00 or 20.00 p.m.